There is no sewing, seaming or intarsia involved. 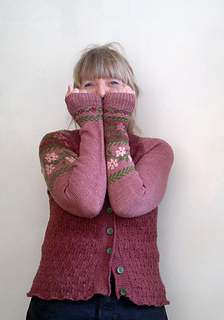 First, the sleeves are worked bottom up featuring delicate branches and flowers in stranded colorwork. The sleeves are extra long but can be shortened very easily. 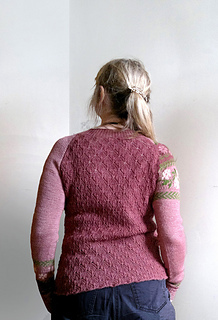 Then the body is worked top down with a stretchy, leafy lace stitch pattern. 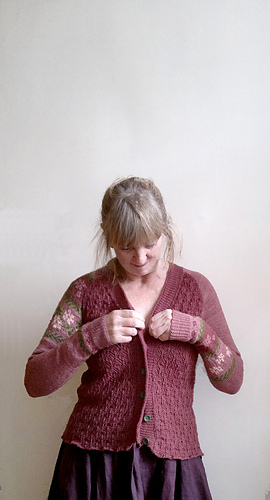 Finally, stitches are picked up to work the button bands. 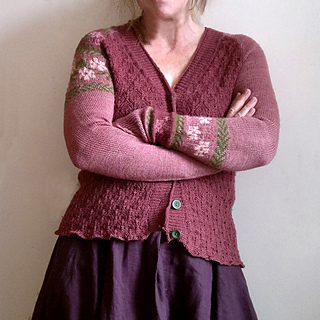 The colorwork is charted only and is bundled in a separate pdf providing more tips on working fair isle and stranded knitting. 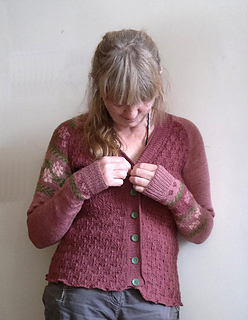 Wild roses is an e-book containing four patterns: a cardigan, cowl, hat and fingerless mitts. 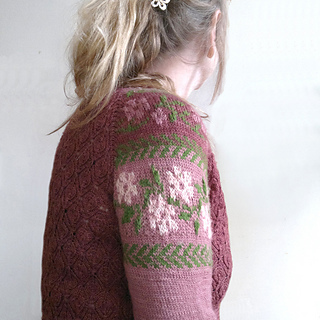 Get all four patterns in one e-book: Wild roses for 15 euro.